Happy Birthday Mr. Robinson and Mr. Cub! 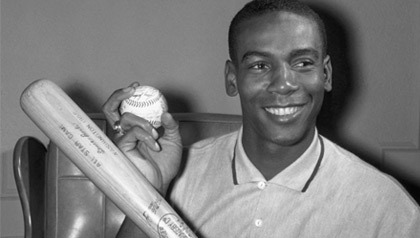 Today is the birthday of two of the top baseball players of all time: Jackie Robinson and Ernie Banks. I respect both of these men for the way they played the game, but more importantly for the way they handled themselves as they were faced with the harsh racism of the mid-1900s. Jackie Robinson would be 94 years old today. 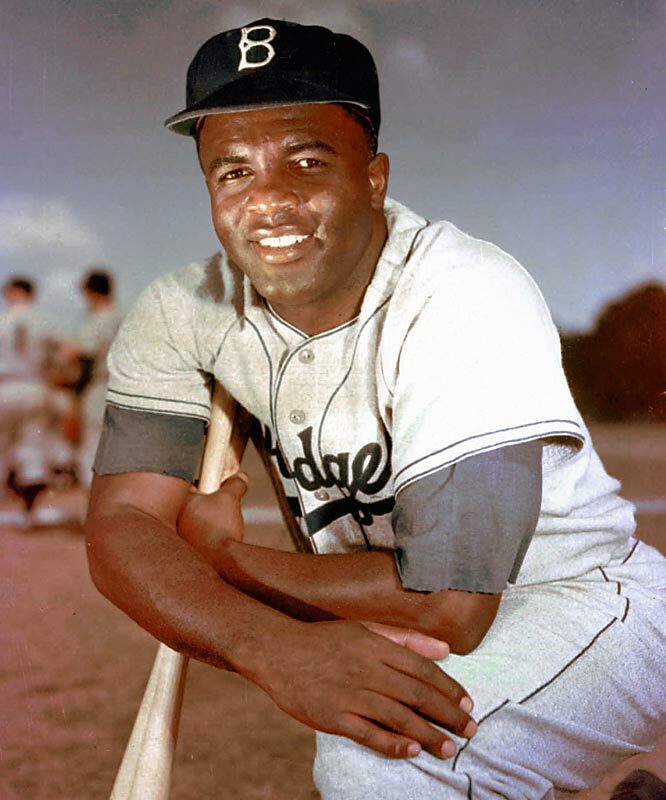 As you know, Jackie Robinson broke the “color barrier” in Major League Baseball. 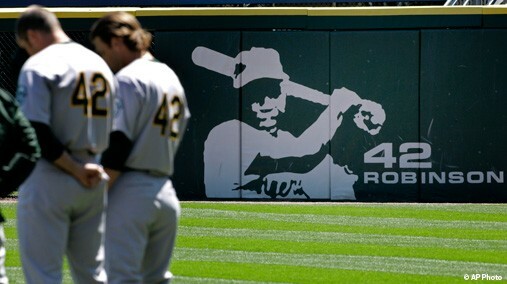 Without Jackie Robinson, there would have been no Hank Aaron, no Willie Mays, or no Ernie Banks. He endured years of abuse, but he never fought back. The best resistance he could offer to the widespread racism and ignorance was to play better than anyone else. He won the Rookie of the Year and the MVP. He also won the World Series with the Brooklyn Dodgers. Every February in elementary school we had to do a report on someone that contributed to Civil Rights and equality. I always wrote about Jackie Robinson. I’ve probably read 5 biographies of him. He is the only player to have his number retired for the entire MLB. Happy Birthday Jackie! Ernie Banks is 82 years old today. Happy birthday to you Mr. Banks. Ernie Banks is a super classy man. He played for 19 years with the Cubs. He won the MVP twice, but he never made it to the World Series. When asked if he would go to another team with the chance of making the World Series he said: “I didn’t say anything. But the answer to that was, ‘No, I’m satisfied playing for the Cubs, playing day-baseball in Chicago, the middle of the United States.’ I was satisfied with that.” (source: Ernie Banks: A Beacon for Baseball). He put up great numbers throughout his career, and was elected to the Baseball Hall of Fame on his first ballot (a very rare achievement). As I wrote last week, I recently got to meet Ernie Banks, and it was a joy. A very hearty birthday to Mr. Jackie Robinson and Mr. Ernie Banks from For Aslan…and the Volunteer State.